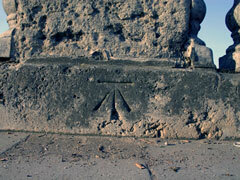 An Ordnance Survey benchmark carved into Henley Bridge. 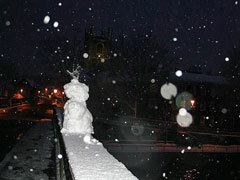 A lonely snowman on Henley Bridge one early winter morning in February 2007 with Saint Mary's Church in the background. 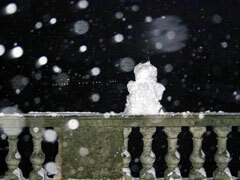 A lonely snowman on Henley Bridge one early winter morning in February 2007. 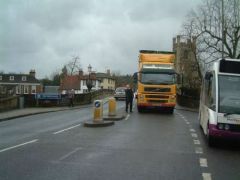 A lorry has to turn around due to a fallen tree just up the road after January 2007's storm. 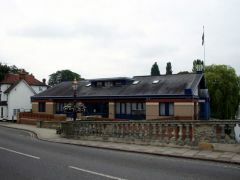 The Regatta Headquarters located on the Remenham side of Henley Bridge. A close-up view of the stone work on Henley Bridge. 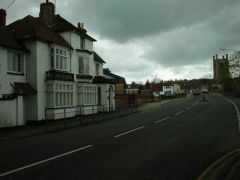 In the distance is Saint Mary's Church and The Red Lion Hotel. 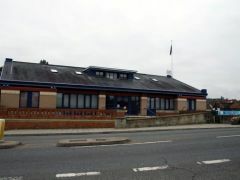 The official Henley Royal Regatta Headquarters are located next to Henley Bridge. 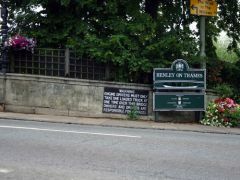 Some signs on Henley Bridge that welcome visitors to the town and inform truck drivers of bridge weight restrictions. 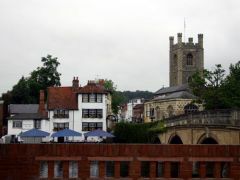 This classic view of Henley-on-Thames shows the Angle on the Bridge, Saint Mary's Chruch and Henley Bridge. 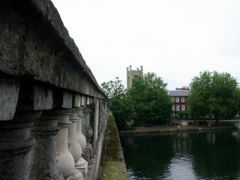 This view of the bridge shows The Angel on The Bridge public house and Saint Mary's Church. 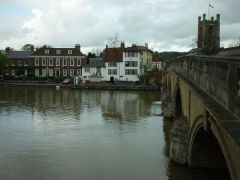 Henley Bridge can be seen in the distance in this photo. 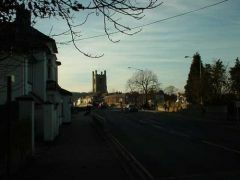 Further to the right is the prominent tower of Saint Mary's Church. 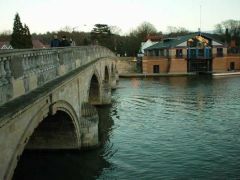 This classic shot of Henley-on-Thames shows Henley Bridge stretching over The River Thames towards the Regatta Headquarters. 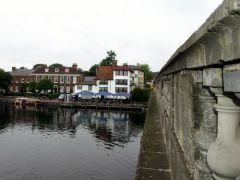 Henley Bridge taken from the Remenham side. To the right just out of view is The Leandar Club.